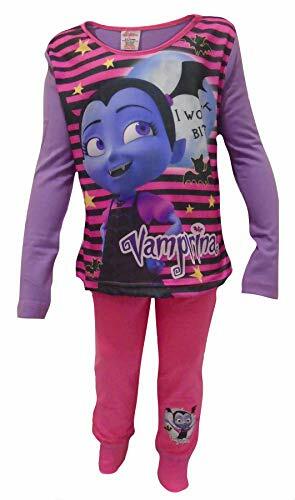 Girls Vampirina "Won't Bite" pyjamas. With long sleeved arms and long leg pants. They are made from: Pants 100% Cotton, Top, Back & Sleeves 100% Cotton, Front panel 100% Polyester Print .